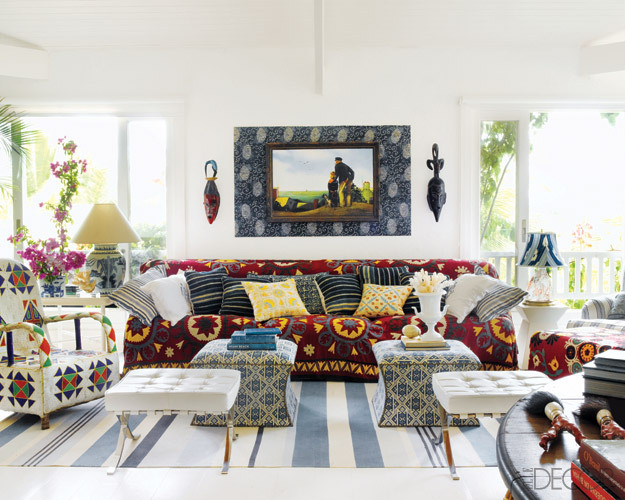 Layering pattern on top of pattern on top of pattern, and then bringing in pieces of different colors and textures, I thought would make a space incredibly overwhelming. 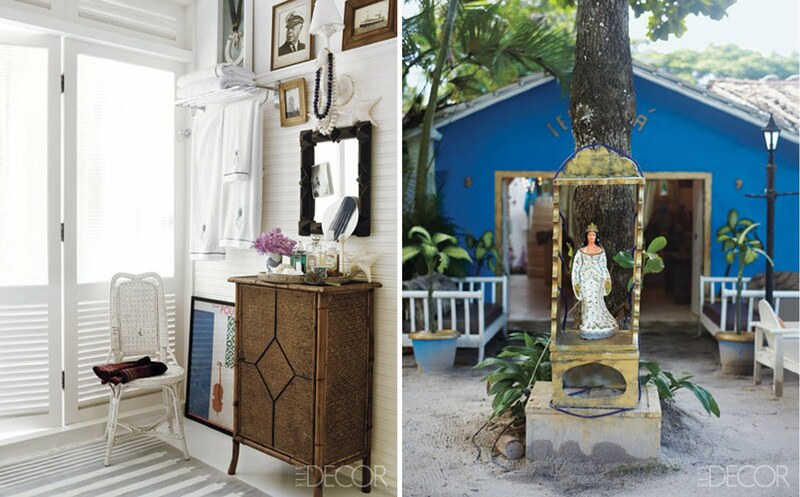 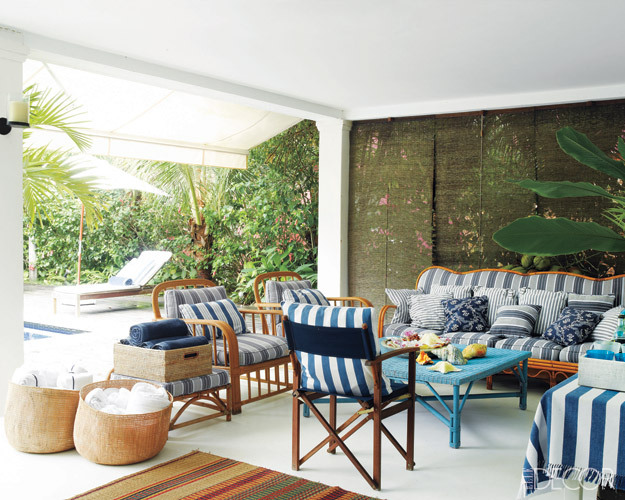 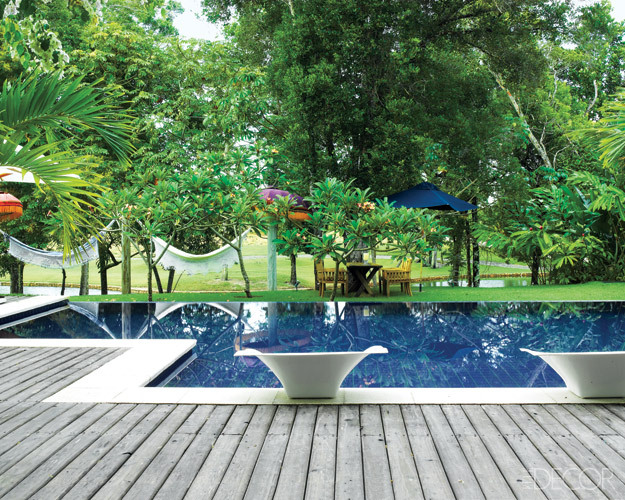 Not so, in this Brazilian dwelling. 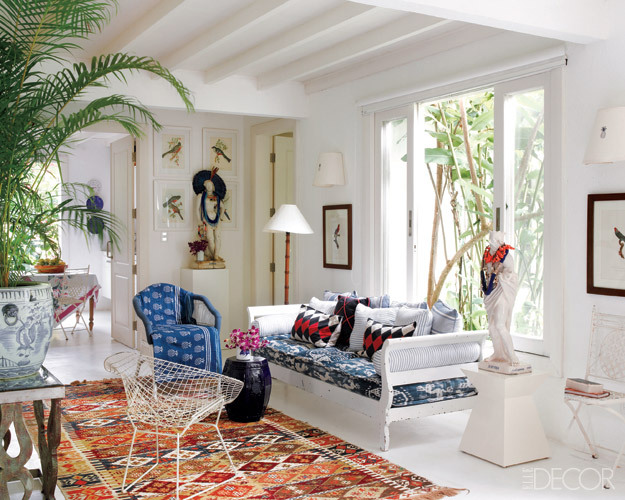 The global style of this home is crazy cool. 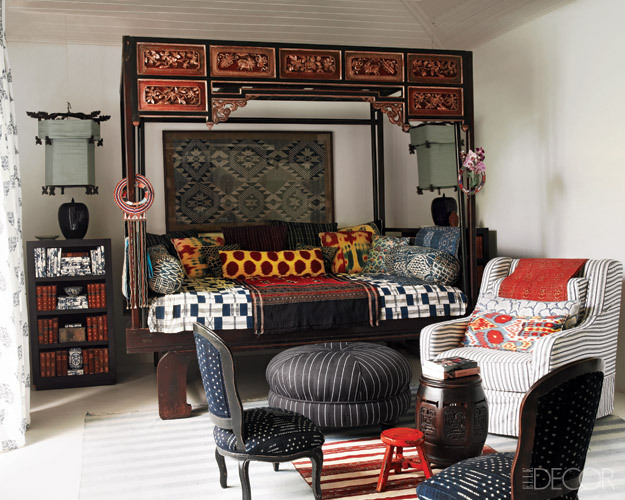 The living room alone has an Brazilian colonial chairs, Chinese ceramic stools, Nigerian beaded armchairs and Barcelona stools. 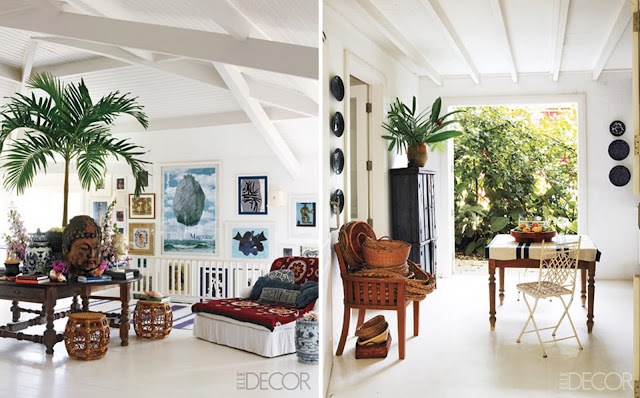 The rest of the home is very airy and open, and I love that almost each room has large potted plants, or at least floor to ceiling windows that look out into the garden. 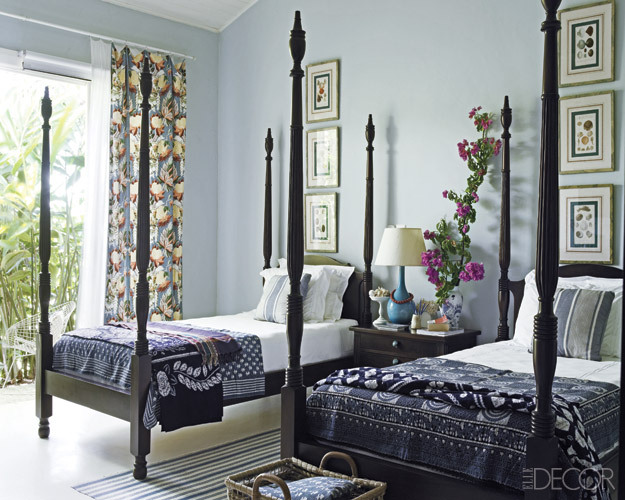 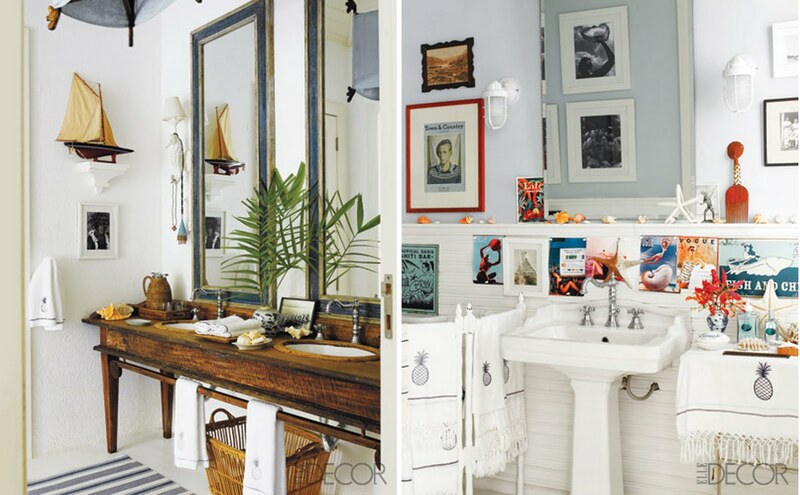 The color palette for any one of these rooms is just punchy and awesome. I really, really like the sunporch with the turquoise table.